Eye injuries can include corneal abrasions, blunt trauma and penetrating injuries, inflamed iris, fracture of the eye socket, swollen or detached retinas, traumatic cataract and blood spilling into the eye’s anterior chamber. Some eye injuries may be serious enough to cause permanent vision loss. 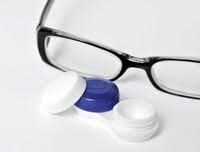 If you wear prescription glasses, ask your eye doctor to fit you for prescription eye protection. Check the packaging to see if the eye protector you select has been tested for sports use. Also check to see that the eye protector is made of polycarbonate material. Polycarbonate eye protectors are the most impact resistant. Fogging of the lenses can be a problem when you’re active. Some eye protectors are available with anti-fog coating. Others have side vents for additional ventilation. Try on different types to determine which is most comfortable for you. Sports eye protectors should be padded or cushioned along the brow and bridge of the nose. Padding will prevent the eye protectors from cutting your skin. Try on the eye protector to determine if it’s the right size. Adjust the strap and make sure it’s not too tight or too loose. If you purchased your eye protectors at an optical store, an optical representative can help you adjust the eye protector for a comfortable fit. To know more about eye injuries read the full article published on preventblindness.org. Click here to schedule an eye exam at any 20/20 Eyeglass Superstore. The University of Wisconsin School of Medicine and Public Health study showed that significant improvements in the treatment of major eye diseases helped reduce the numbers of people whose vision was impaired by diseases such as diabetic retinopathy and age-related macular degeneration. Frequency of visual impairment was lower for every age group compared with people the same age studied in pre-1991 national studies. Prevalence of visual impairment of people ages 85 and older remained high, at about 15 percent, with AMD as the leading cause of severe vision loss. Prevalence of diabetic retinopathy did not increase, despite a growing population of people with type two diabetes, this is likely due to better glucose control. The study also found that, over the 20-year study period, 38 percent of visual impairment was correctable through new eyeglasses or contact lenses. Correction is important for older people because it leads to a better quality of life and reduces the risk of accidents. If you are facing eye problem or wants to know about eye disease consult with an optometrist for evaluation of any ophthalmic problems so that possible solutions can be reviewed. According to Dr. Mel Fiderman, kids will give some signs that they need an eye test. Some of the signs will provide guidance to you when children begin to need glasses, as reported by The Stir (28/02). 1. Standing or sitting too close to the television. Most toddlers like to stand near the television because they are attracted to lights and want to touch the TV. But notice when your child is trying to stand or sit closer to the TV as needed, or because they want to see the picture more clearly. Not only television, when they are coloring or writing, notice how they do it. Children who require eye tests often write and color with the face or head too close to the paper. This is done because they want to see the words or pictures they are coloring better. 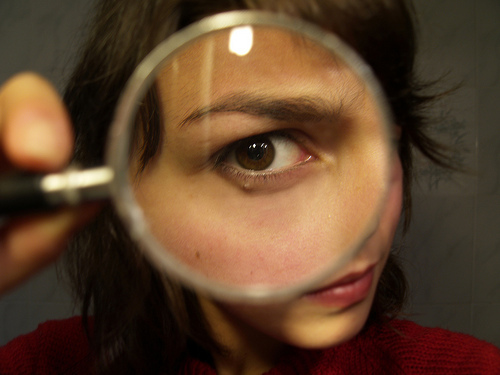 Does your child often squint when looking at something or when looking at a bright light? This is clear sign, but often parents rarely notice this. If you are not sure that the above signs really show that your child needs glasses, you can do an experiment with them. You simply invite them to a game like reading from a distance, and so on. Eye and vision health are one aspect that must be considered by parents early on. By knowing the signs from the start, parents can provide the best health care for children. Schedule an eye exam online with an optometrist at 20/20 Eyeglass Superstore Winter Park for your children. Poor eyesight can put your child at a disadvantage and be mistaken for a learning disability. Make sure you go before school starts just in case you need to get frames. Check out our post on children’s frames for more information. We hope you enjoyed reading this article, As a parent, it can be confusing when first walking into an optical store. Our goal is to make it as easy as possible! Should you have any questions at all, please make sure to contact us! About 80 percent of the things children learn early is obtained through vision, and studies show 70 percent of the 2 million school-age children have difficulty in reading because of vision problems such as ocular motor, perceptual disturbances or binocular disorders. Studies show that a simple eye examination can provide an early indication of problems related to eyesight distance that can be seen well. As for other eye conditions that can affect children’s performance in the classroom often needs an in-depth examination. Here are 10 signs that may occur in children who have difficulties or impaired vision. “We recommend all students to conduct comprehensive eye examinations on a regular basis, usually because a child does not realize the problems they have,” says Professor Sally L Smith, as the founder and director of The Lab School of Washington. By evaluating the health of their eyes and seeing the skills can be an important key to the teaching and learning process of children, such as using both eyes right, eyes ability to focus when reading or viewing and the ability to move the eyes when reading. During your child’s vision screening appointment, we’ll measure each eye with a screener that your child looks at. Each test is harmless and your child won’t experience any discomfort. 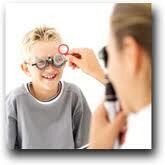 If we feel that your child needs a follow up examination, we’ll schedule an examination with our in-house optometrist. Each 20/20 Eyeglass Superstore location has an independent Board Certified Optometrist. 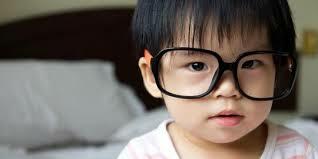 If your child requires glasses, one of our specialists will help you decide which frames are most suitable. If you have any further questions please feel free to drop in any 20/20 Eyeglass Superstore location and one of our associates will be happy to help. Contact lenses are a practical choice for those who have impaired vision. Also for those who want to look trendy with brown eyes. In the midst of contact lenses high demand, not all understand the risks that threatens. Most plural risk factor is the use of contact lenses beyond the recommended lifetime. It’s not a matter of time the lenses expires, but the maximum time limit of the use of contact lenses in a day. The use of contact lenses exceeding the time limit will cause symptoms of oxygen deficiency on the eye, such as itchy, red and watery eyes. This should not be underestimated, because letting the eye lack oxygen can lead to corneal swelling and exacerbate visual impairment. When wearing contact lenses, you should avoid dusty and smoky areas to prevent irritation. 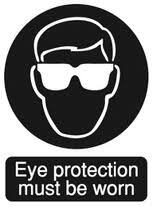 Do not let foreign objects such as sand or small dirt contaminate the eye. Rubbing eyes can also irritate the cornea and lead to infection. Note the recommendations and restrictions about contact lenses before wearing them. Wearing eyeglasses for years or you just found out you need corrective lenses deciding between eyeglasses and contact lenses? Perhaps you think contact lenses are difficult to put in as you’ve watched your friends fiddle with them in the mirror or maybe you think glasses are too expensive after hearing your friends complain. How do you choose which type is best for you? It all depends on your budget, your vision type and how much effort you want time you want to invest in maintaining your vision. Before deciding if contact lenses or eyeglasses are right for you, make you sure you try both types on and have a proper eye examination. You may even decide to get both! If you’re in the market for eyeglasses or contact lenses and live in Orange City, Melbourne or Orlando, drop by 20/20 Eyeglass Superstore. There two important reasons that marks blurred vision. One is your glasses needs to be improved or the formation of cataracts in your eyes. 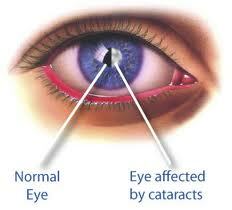 If you have diabetes, you should do a cataract check every 3 months. This is because blood sugar levels can affect the formation of cataracts in the eyes. Most of the people develop cataracts because of the age issue. Actually this is one of the most common eye problems in many seniors, Age group of 60’s and above are included in the high-risk category of cataracts. Your family has a history of bad eye health? If a member of your family was affected by cataracts, you should be more careful because of the risk of suffering from the same problem. Inform your doctor about your family health history. An eye exam will not only pick up vision problems but also early signs of disease, which if left untreated may lead to serious problems. An eye exam can also detect a number of other underlying health problems such as high blood pressure, diabetes, brain tumors, etc. Drop in to any 20/20 Eyeglass Superstore location and schedule an eye exam. Vitamins are basically healthy. However, if consumed in excess, vitamins can increase the risk of cataracts. Researchers say excessive levels of vitamin E at least 60 percent trigger risk of cataracts. Vitamin C also increases the risk of blindness in the eye by 20 percent if taken too much. Supplements of vitamins C and E had been thought capable of protecting the eyes from cataracts and blindness because they are rich in antioxidants. But if consumed excessively, the balance of protein in the eye is disrupted and causes disease. As reported by the Daily Mail (25/02), the human body can not produce or store vitamin C. The source only comes from fruits and vegetables a total of 40 milligrams a day. Usefulness is to maintain healthy cells and accelerate healing. 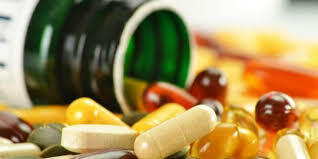 Researchers also suggested that the public watch their vitamin supplements consumption. Do not let the tablets contain more than the daily advice from experts. It’s important to stay up to date on eye health information, especially because some eye conditions like Glaucoma and cataract. As an adult, you might ask yourself, “Why get an eye exam?” Getting an annual eye exam can easily be forgotten, especially with work, family and other obligations. Make sure you set a reminder in your smartphone or pencil it in to your calendar to get a regular eye exam every year.